Looking to host the ultimate outdoor event, but unsure of where to set-up your function? It could be as simple as your back garden or a large plot of land with a stunning view with thanks to our marquees for sale in Durban. We offer top quality tents for sale throughout the Durban region, including marquee tents, frame tents, peg and pole tents and two pole tents. At Cargo Tarp and Net Manufacturers we are producers and suppliers of some of the most varied tenting and canvas products in all of KwaZulu-Natal – you would be hard-pressed to find a better supplier who could cater to your needs! 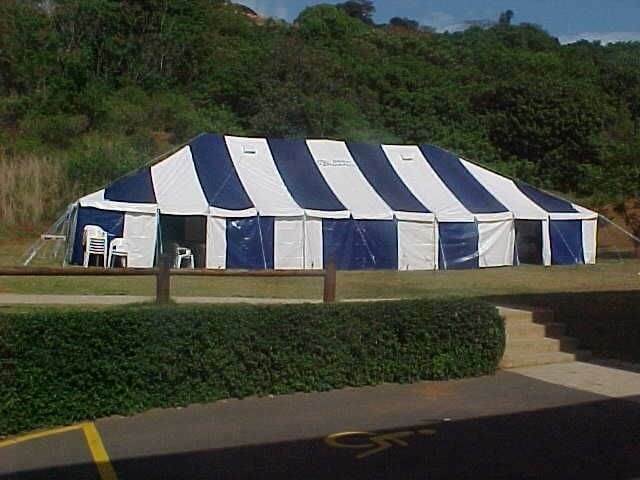 As professional tent manufacturers in Durban, we have a tent to match almost every occasion. Whether you’re looking for a high-end marquee manufacturer in Durban or supplier of peg and pole tents, frame tents or two pole tents- Cargo Tarp and Net Manufacturers have you covered! Our structures are specifically created to cater to both small and large events – ranging from intimate weddings to large corporate functions. We are also to supply tent hire in a number of locations – looking for a backyard set up, wedding venue add-on or even a car park set up? We are your top tent suppliers in Durban. Additionally, we offer peg and pole tents for sale at some of the best prices in KwaZulu-Natal! As part of our service offering, we are proud to supply tent repairs throughout Durban, including marquee repairs, frame tent repairs, peg and pole tent repairs and more. Why choose a marquee tent for your event? Anything is possible when it comes to hiring one of these structures for your next event. As top marquee manufacturers in Durban, we can guarantee all our tents are sturdy, fully waterproof and offer endless possibilities for decorating the interior. As top tent suppliers in Durban, our fully capable team are on-hand to assist with the assembling and disassembling of the structure, ensuring delivery, set-up and dismantling of your marquee tent is as seamless a process as possible. Why choose a frame tent for your event? The frame tent does not have a centre pole, thus allowing for a free-flowing interior setup and comes complete with beautiful window panels if you so choose. Our fully capable team at Cargo Tarp and Net Manufacturers will be on-hand to assist in the set-up and dismantling of your frame tent. Why choose a peg and pole tent for your event? 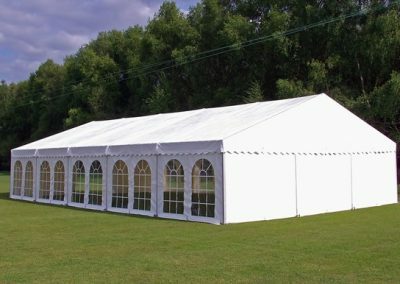 For a traditional marquee, the peg and pole tent is your answer. Peg and pole tents are perfect for large church congregations, there are little restrictions to the amount of people these tents can cater for. They are sturdy, highly reliable and often a favourite for large functions. The peaks of the tent are designed in such a way to afford the best stability possible, while the canopy of the tent offers full protection from all the elements. For tents for sale in Durban, or tents for hire, we offer some of the best marquee tent prices and peg and pole tent prices on the market today. Host your function with the ultimate peace of mind with our sturdy structure- call us today for your enquiry!